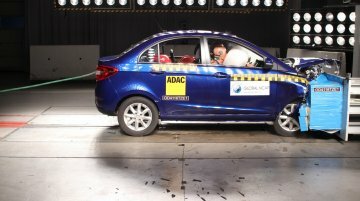 Global NCAP, under its Safer Cars For India Campaign, has tested 25 mass-market models that are on sale in India. 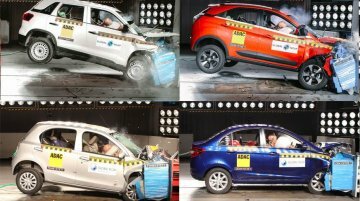 Recently, the organisation released the results of its latest round of crash tests. 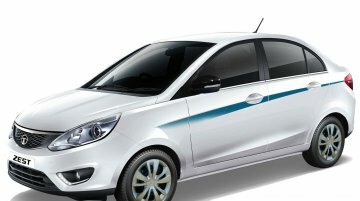 In..
Tata Motors launched a special edition model called Tata Zest Premio last week to commemorate the sedan reaching the 85,000 sales milestone. 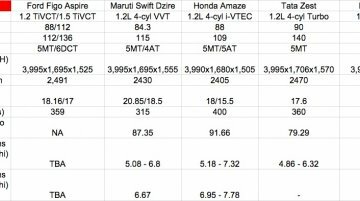 IAB reader, Tanmay Gupta has shared images of this special..
Tata Motors has announced that the Tata Zest has reached 85,000 units in cumulative sales. 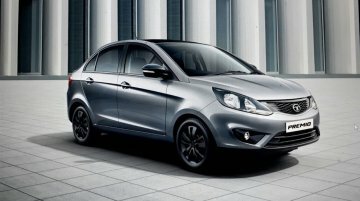 To celebrate the new sales milestone, the company has announced a special edition model called Tata Zest.. The Zest's bodyshell integrity is rated "unstable". 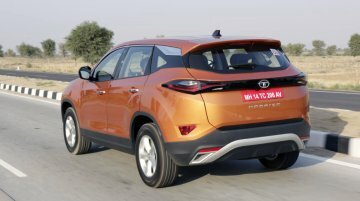 Global NCAP test results haven't been particularly good news for Indian cars, but with every press release, the situation appears to be changing..
A Sports Edition bodykit available for all variants. 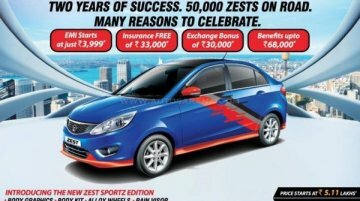 To commemorate the sales milestone of 50,000 units, Tata Motors has launched the Tata Zest Sportz Edition. It can be availed as a dealer-level..
Has six diesel variants. 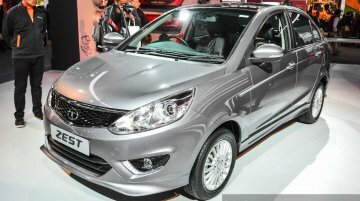 The Tata Zest was launched in August 2014 in three versions - 90 PS petrol, 90 PS diesel and 75 PS diesel. The petrol version was introduced in four variants - XE, XM, XMS..
Gets minor cosmetic and equipment upgrades. 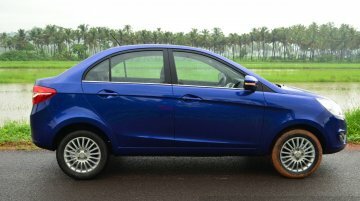 Tata Motors showcased a custom Tata Zest at the Auto Expo 2016 in Noida. It showcases new accessories and features that can be availed by Zest..
Messi will reportedly star in the commercial for the forthcoming 'Kite'. 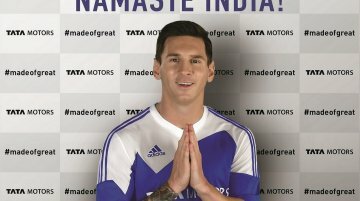 In an attempt to increase and improve its international footing, Tata Motors has announced that it has appointed Lionel..
None of them are on sale. 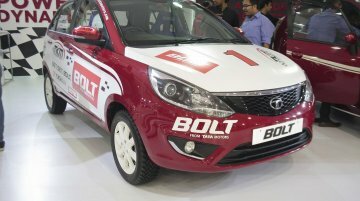 Tata Motors has presented a rally edition of the Bolt hatchback, an executive version of the Zest compact sedan and a fully-kitted up GenX Nano, at the 2015 Autocar..
Capacity utilization down to 33 percent. 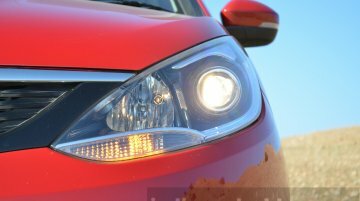 A report on the Financial Express cites how the Tata Zest and the Tata Bolt have failed to uplift Tata Motors' sales performance. The duo were launched in.. Both models already being sold in the country. 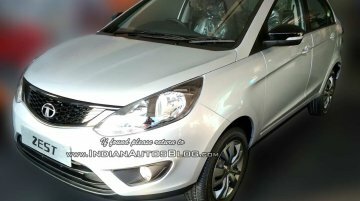 Along with the 2015 Tata Safari Storme, Sipradi Trading Pvt Ltd (authorized distributor of Tata Motors) has also brought the Tata Zest and Tata Bolt..
Update - New photograph included. Comes in a new white body colour. 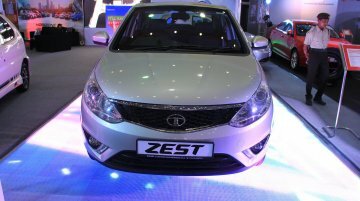 Tata Motors today unveiled a special edition of its compact sedan Zest on account of its first anniversary. The edition,.. 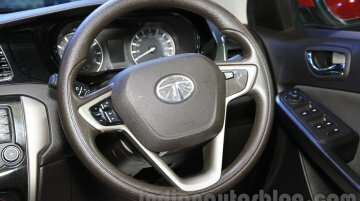 Both cars were launched in India in the previous fiscal year. 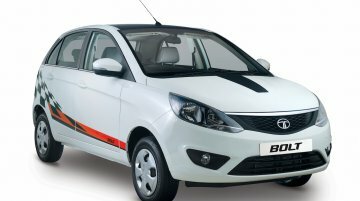 Tata Motors along with Diesel &amp; Motor Engineering PLC (DIMO) launched the Tata Zest compact sedan and the Tata Bolt hatchback in..
Update: Tata Motors have told Indian Autos Blog that the cars have not yet launched in the Sri Lankan market. 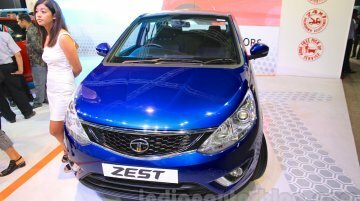 The company showcased the Zest at the Ceylon Motor Show. Launched at the Ceylon..